In this sixth unit the mitzvah of chessed will be explored in the thought of Rabbi Sacks. While tzedakah is giving with our material resources, chessed is giving of ourselves, with our time and with our hearts. For Rabbi Sacks, chessed is a critical element of the covenantal bond that he believes is at the very core of Judaism’s vision for society. A society that is founded on a social contract, concerned primarily with regulating power and justice, will have mishpat and tzedek / tzedakah as its core values, whereas a ‘society as extended family’ that is founded on a social covenant, built on the values of loyalty, fidelity and faithfulness, will have chessed at its core. To truly understand the values of chessed and the impact of chessed on society, one has to experience it. Thus, in this unit we have chosen to use storytelling as the primary vehicle for educating about chessed, allowing the student to experience chessed in an emotional as well as intellectual way. 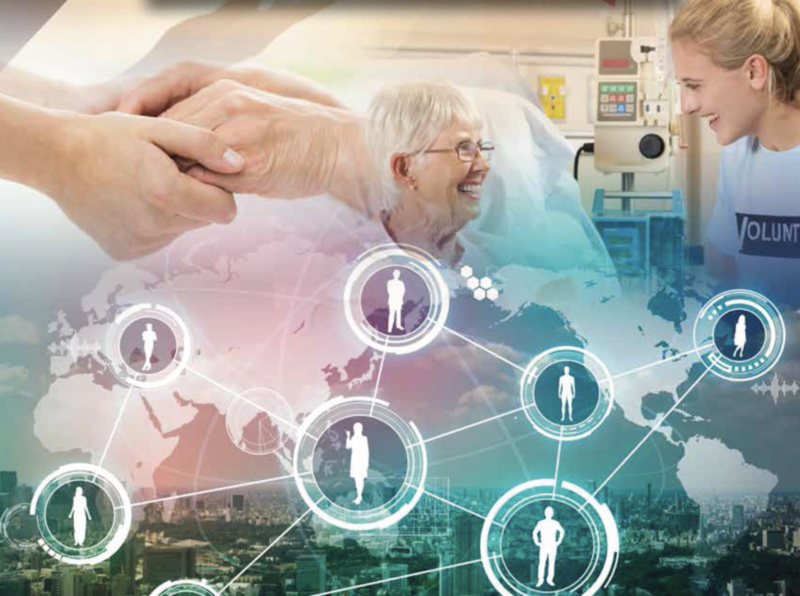 (1) understand that all human beings have both physical and emotional needs, and while tzedakah can address physical poverty, it is chessed that addresses emotional poverty. (3) understand that Judaism’s vision for society is one of social covenant, where strangers are seen as family, and chessed is the vehicle for human interaction. (4) be provided with an opportunity to understand in a real and experiential way the value and impact of chessed in society. (5) be given a practical opportunity to fulfil this vision for society within their community by creating their own real life chessed. Please click on the links below to download the Educator and Student resource packs for the Entry and Advanced Levels of Unit 6 on Chessed. 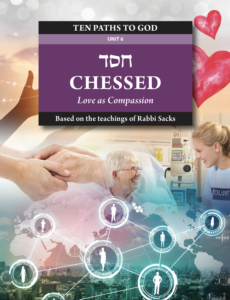 Each of these packs includes questions for discussion, mekorot (sources) and extracts from Rabbi Sacks’ writings to help you gain a better understanding of the concept of Chessed. Please click here to download an MP4 version of the opening video for Unit 6 on Chessed. That is what chessed is about: emotional support, ‘loving-kindness’, love as compassion. It is what we mean when we speak of God in Psalm 147 as one who ‘heals the broken-hearted and binds up their wounds’. It includes hospitality to the lonely, visiting the sick, comforting the bereaved, raising the spirits of the depressed, helping people through crises in their lives, and making those at the margins feel part of the community. It is tzedakah’s other side. Tzedakah is done with material goods, chessed with psychological ones: time and care. Tzedakah is practical support, chessed is emotional support. Tzedakah is a gift of resources, chessed a gift of the person. Even those who lack the means to give tzedakah can still give chessed. Tzedakah rights wrongs; chessed humanizes fate. Abraham and Sarah were chosen because of their chessed to others. Ruth became the ancestress of Israel’s kings because of her chessed to Naomi. At the heart of the Judaic vision is the dream of a society based on chessed: society with a human face, not one dominated by the competition for wealth or power. Chessed is the mark of a people joined by covenant. Covenant creates society-as-extended-family; it means seeing strangers as if they were our long-lost brothers or sisters. A community based on chessed is a place of grace, where everyone feels honoured and everyone is at home.